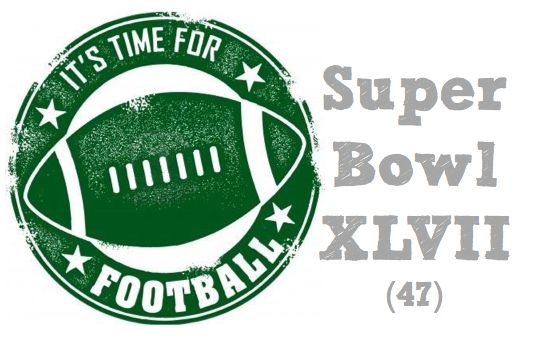 As the season is winding down, I am gearing up my Super Bowl party prep! How about you? Will you be hosting a party? Watching the game some where else? If the team(s) your household roots for still in the running? Whatever you plan to be doing, here are a few pointed from party planner extraordinaire, Brooke of Lemon Drop Shop. Our family is not big on watching sports, football included. My husband will watch a game occasionally, but we do not check out game time before we schedule our lives. Superbowl is just an excuse for a party, in my opinion. But there is certainly nothing wrong with that, is there? Party, you say? What more do you need than chips and dip and a cooler full of beer, you ask!? Well, some folks like me may be hoping for just a little something more. Here are my ideas to make Superbowl Sunday be more than just a regular game day. As far as a theme (I love themes, and "superbowl" just isn't quite enough for me to latch onto), some of my current favorites are bar/buffet themes such as chili, baked potato, mini-burger, pretzel, popcorn or even a simple sandwich bar. These ideas are great as far a prep is concerned and also as far as your guests bringing something. For example, if you are having a chili bar, guests could bring cheese, sour cream and the like. Now what to do with decor...Brown bag it. Yep. I think it really can be as simple as that. Get a roll of brown kraft paper and go crazy. Begin by covering your table and other serving surfaces with kraft paper. Once you lay food out, you can grab a sharpie and write next to the dish what you are serving. Next, hang a strip of paper on a spare wall and use this for your guests to write their Superbowl predictions (see above inspiration use for New Years). Use paper lunch sacks to hold your snacks, such as pretzels, chips and popcorn. You could also lay out individual sized kraft bags for guests to fill up with these snacks for themselves instead of using a plate. Talk about easy clean-up!